I have been a big fan of meat pies for as long as I can remember, but as the years go on I find there is a certain sameness to them where ever they come from. Even buying ‘gold medal winning’ or ‘voted Australias best meat pie’ doesn’t really guarantee anything special. 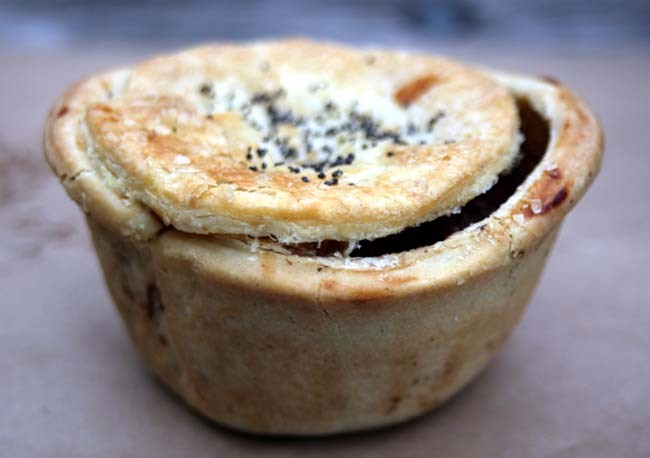 So I was thrilled a couple of years ago, while passing through a small town called Lumsden, in New Zealand’s South Island, to find a bakery selling Bluff Oyster pies, which were sensational. A year later, and another visit, and unfortunately no oyster pies. Settled for pork and watercress, which turned out to be just as delicious. So this years trip definately included a visit to Lumsden with the intention of buying one each of everything unusual they had. Of course, as so often happens with my plans, on the only day we could make it to the bakery, it was closed! 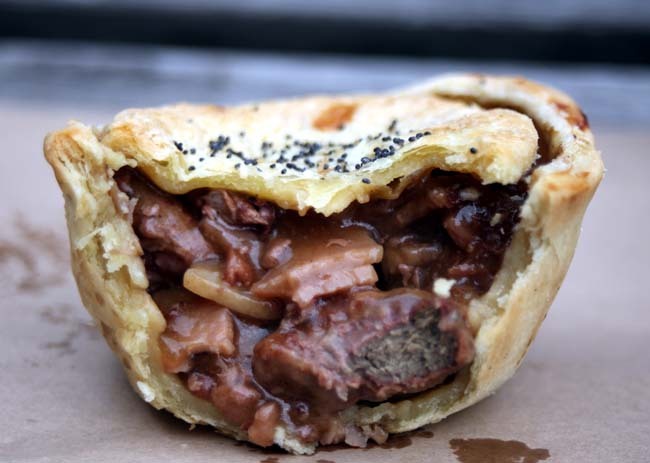 We pressed on, disappointed and hungry until Gore, where a stop at the Oven Fresh Bakery yielded a very pleasant surprise, a lambs fry and bacon pie. The pie was smaller than the average meat pie, but this was more than made for by the quality. The pastry was light, crispy and delicious, and what can I say about the filling, if you like lambs fry and bacon, this was as good as it gets. Certainly made up for the disappointment at Lumsden, which I now look forward to visiting next trip. Another meat I haven’t eaten in a while and when I did I can’t work out why I left it so long. 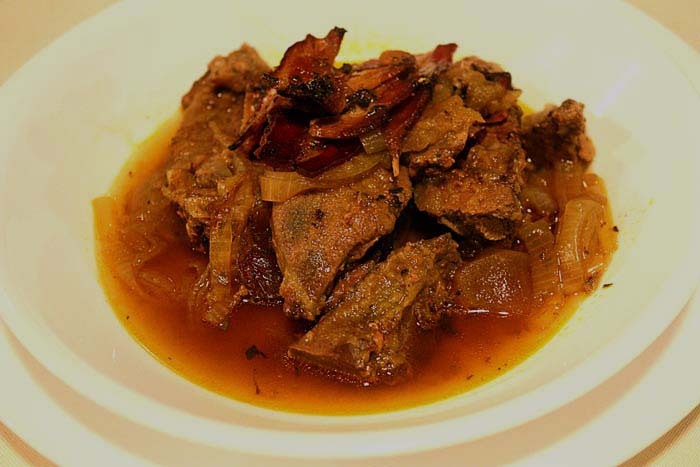 I found an interesting recipe on the internet and modified it a little bit to produce a great liver dish. I took 300gms sliced lamb liver, one large onion, one cooking apple (granny smith) and 2 large rashers of bacon. 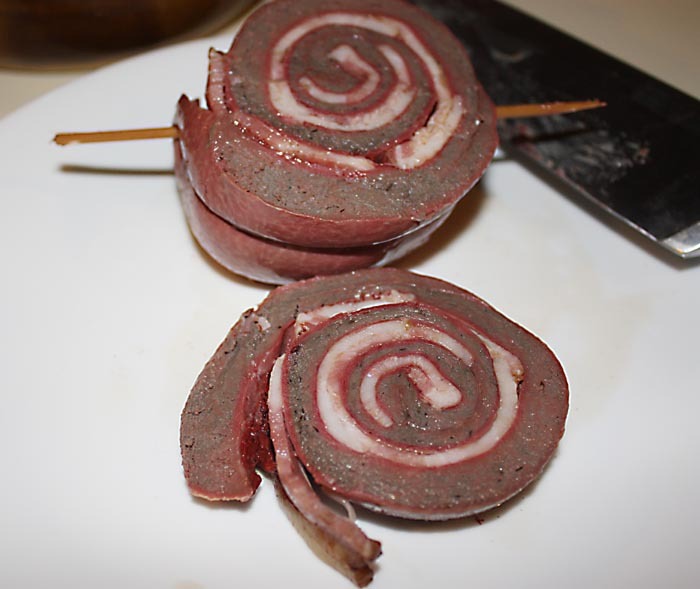 I coated the liver with flour, salt and pepper and browned it in a pan. 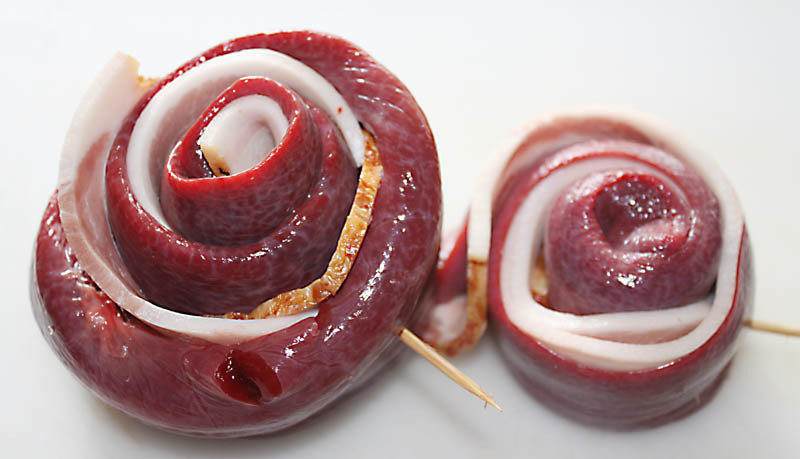 The onion and apple were sliced and placed in a casserole dish in layers with the liver and the bacon was put on top. Beef stock was added and the dish with the lid on was put in the oven at 180 degrees C for 1 hour, then the lid was removed for 30 minutes. With veges on the side, this was another deliciously tasty meal. 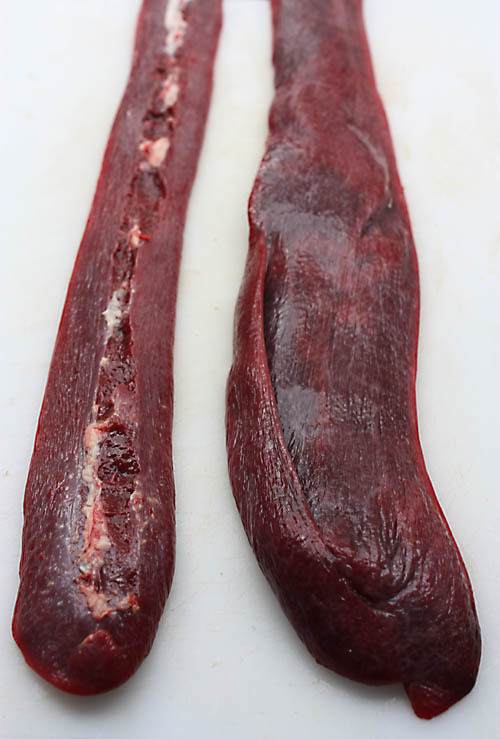 No one else I know eats liver and they don’t know what they are missing.